I have recently taken a liking to savoury tarts. 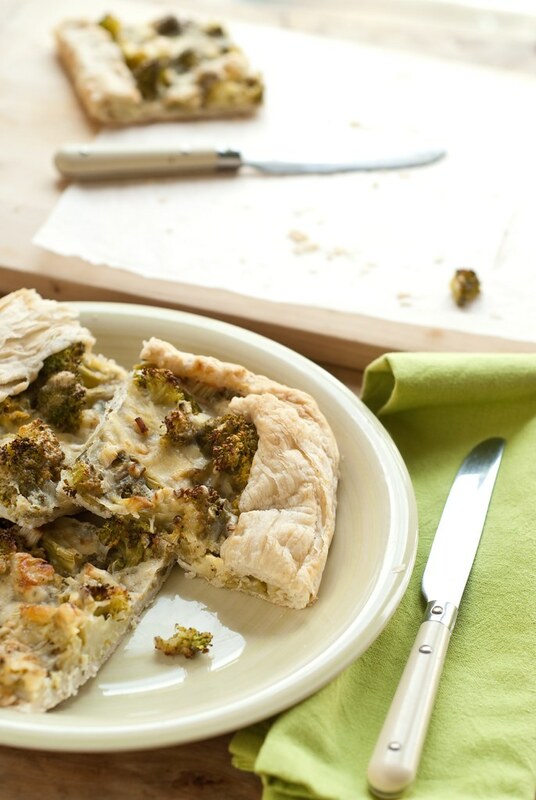 They are perfect as a very quick and easy lunch or supper and almost any vegetable, cheese or ham leftovers can be used. My favourite one is leek and bacon tart. This time I bought too much broccoli to make a broccoli soup and I was thinking what to do with rest of it. Actually another reason led me to make the tart. I have defrosted puff pastry planning to make a pumpkin parcels. However, after a complete fiasco with a thai pumpkin soup I decided it wasn't the best idea. I very rarely throw food away, but the pumpkin soup was an exception. We managed to eat a bowl each, but we could not bring ourselves to eat another one. On the other hand, this type of tart was never a disappointment. It is very tasty hot, straight after baking, but it always makes a great job next day too. 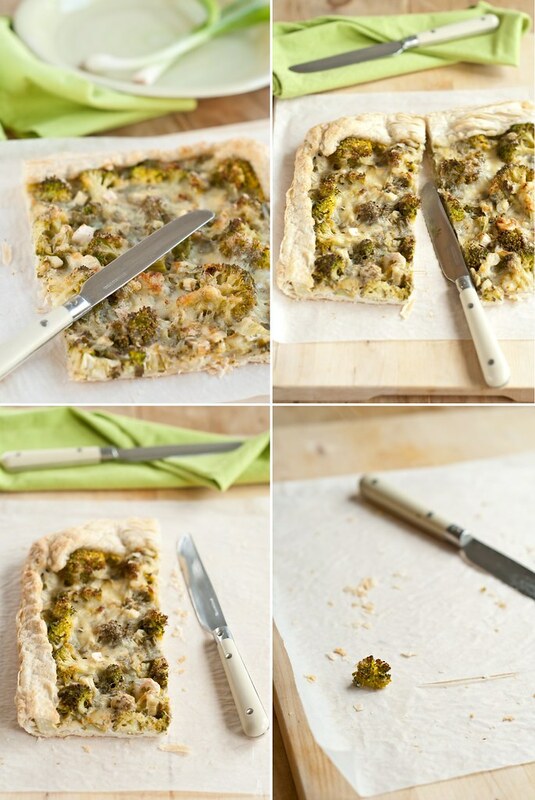 I found out it is very important to check the tart frequently to prevent the broccoli to be burned. Unfortunately, I burned some pieces which were not covered with cheese, even so it was delicious. 1 Preheat oven to 180C. Roll out the puff pastry on a floured surface to the size of your baking tray. Lay the pastry on a baking tray lined with baking paper. 2 Mix together the soft cheese, milk, garlic and fresh herbs, season to taste. Spread the mixture over the pastry. Cover the cheese with the broccoli and scatter over the spring onion and grated cheese. 3 Flip the edges of the pastry over the filling. Bake for about 20 minutes until golden.